Toss togehter the cooked quinoa, chickpeas, arugula, avocado and dried apricots. Drizzle in the dressing and toss again. 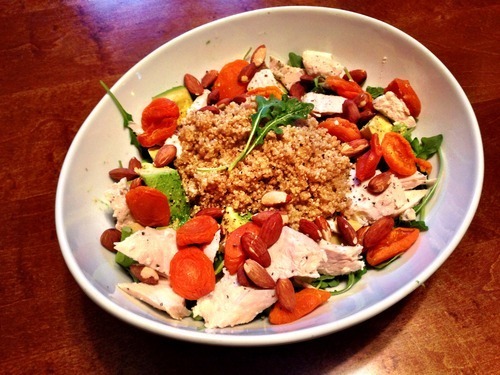 Top the salad with chopped almond.Taste and adjust seasonings.